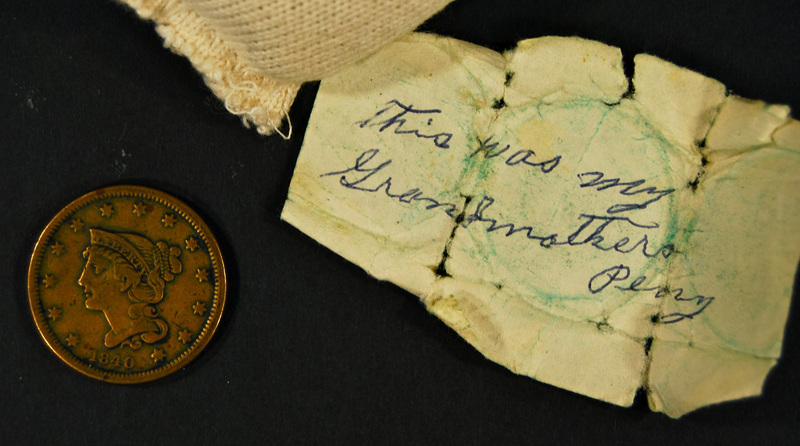 Mr. Taylor brought in this penny to the History Harvest to share with us, accompanied by a note from his grandaunt. 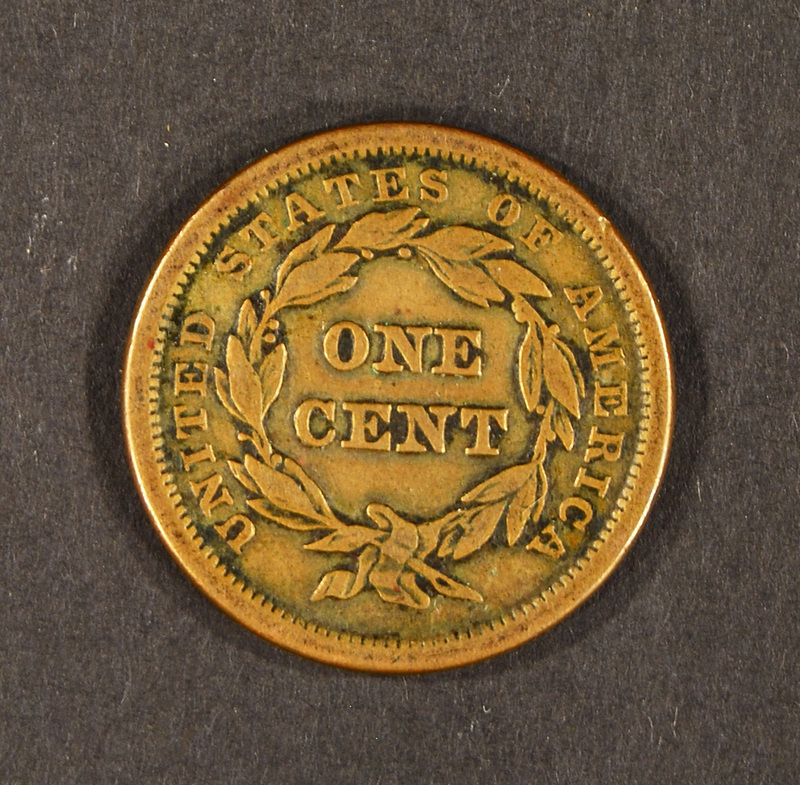 This penny is a 'braided hair coronet'-style penny, dated 1840, and Mr. Taylor informed us that his great-great-grandmother held on to this penny until she passed away. 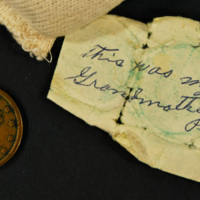 He said it was a highly treasured object for his great-great-grandmother, as slaves were not allowed to have money of their own. 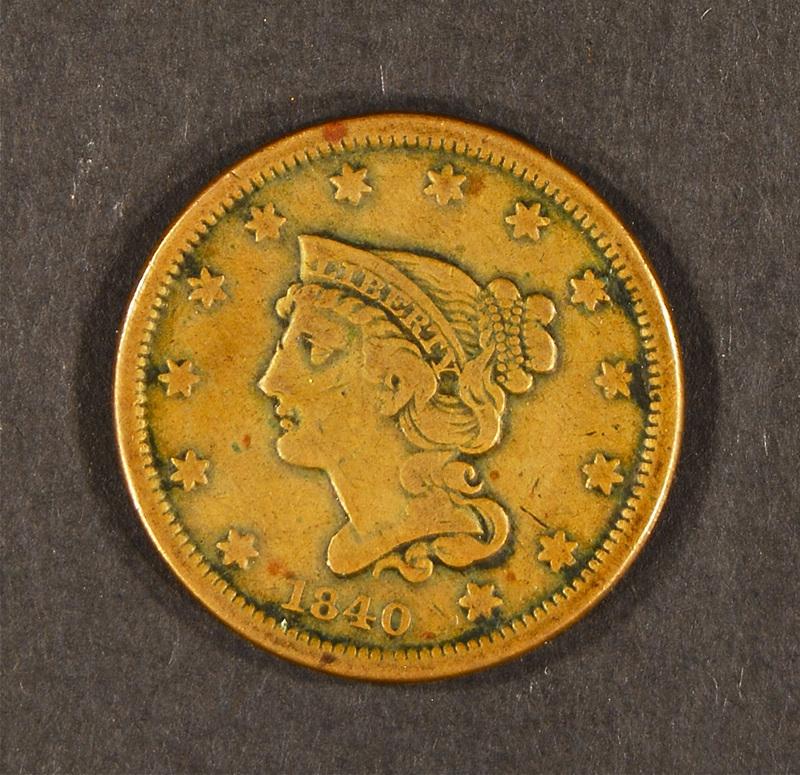 For interviews and oral histories of this and other items please visit the History Harvest YouTube Channel. 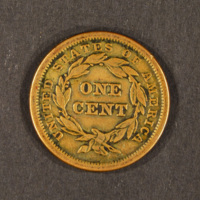 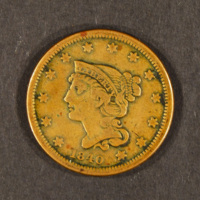 “Slavery Artifacts: Penny,” History Harvest, accessed April 21, 2019, https://historyharvest.unl.edu/items/show/105.